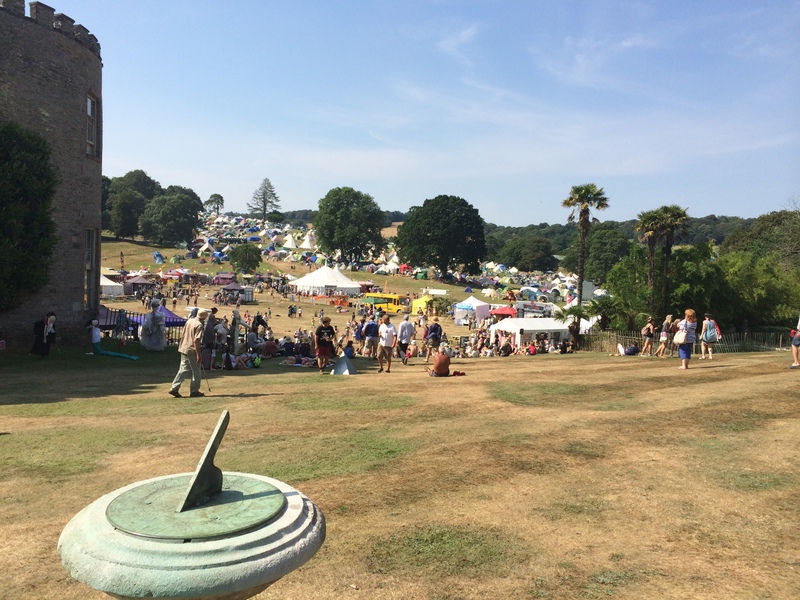 My third and final blog from Port Eliot looks at two very different ways in which the past is important and why it matters. Both books – one fiction and one non-fiction – also suggest ways in which history is significant for the present day. 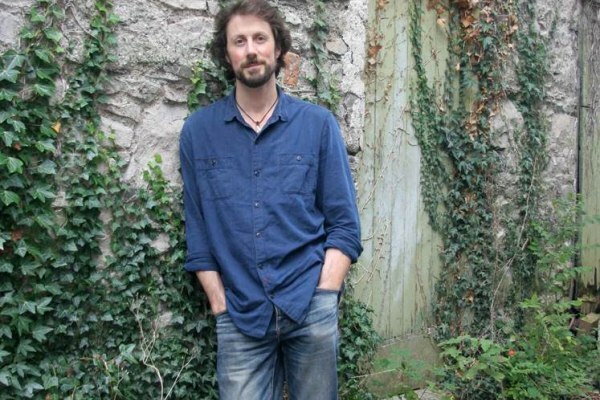 One was a talk by Paul Kingsnorth whose book, The Wake, was published by Unbound using crowd funding, and it has become the first book of that kind to be longlisted for the Man Booker Prize. Kingsnorth is a compelling speaker and began by talking about how we tend to forget the myths of the founding of Britain, and indeed that British roots are easily forgotten or ignored. He discussed how myths and stories developed to help the population understand and explain what happened in turbulent times when England was invaded, poor and often struggling with the influx of conquerors with new languages and ideas. The point in history he takes as a beginning for his work was 1066, a time we assume we know about, but Kingsnorth’s point is that there is so much we ignore, or don’t think about. He emphasised that the first law that William (the Conqueror) passed took all land into the possession of the crown; and that all English barons in power were replaced with Normans over the following decade or two. Insurgency is little discussed now, but, as the elite of England had mostly been killed in the battles or by William’s orders, opposition had to come from other sources, notably the Sylvatica, or wild men, such as Hereward the Wake. The Harrying of the North, in which resistance to Norman rule was put down ruthlessly, with villages and farmland burned and population slaughtered, is perhaps a sadly familiar tale, but with that history often seems to stop. This is the start for The Wake: how did ordinary people live through these violent times, coming to terms with a loss of identity as well as land and family? The main character, Buccmaster, is a Fens farmer, rooted in ‘the old ways’ and fearful for the future. As Kingsnorth asks, ‘Does an oak tree bend or break when hit by lightning?’ What does this period of history do to identity, and to England? Of course such big questions have big, often ambiguous answers, but they also have resonance for the modern world, not just here in Britain but much more widely. The novel provokes questions about how the future will judge us; and also about what national identity is, and why it is (or isn’t) important. What role does history play in this? It’s a story both specific and universal, then, of a colonised and oppressed people with many modern and historic parallels. I’m also interested in the language used. Kingsnorth began writing in modern English, but felt this grated (and certainly the language used in historical novels is a bugbear of mine). Then he thought about Old English, but this would be unreadable to all but academics. Eventually he settled on what he calls a ‘shadow tongue’, a language somewhere between Old English and modern English. The reader is thus dropped into an alien world ‘without a lifebelt’, but from what I’ve read so far the language is striking and evocative, and makes appealing and sometimes beautiful prose. There is a glossary (though I studied Old English at university and remembered the vocab quite quickly), and it’s fascinating to read a book with no Gallicisms, and no modern words – nothing sounds out of place. When I was about 8 my father showed me a book written in Old English, which I didn’t understand, and then read some to me, and I quickly realised how the sounds have changed less than the words and it suddenly made sense, and this feeling of a spoken language which can quickly become more familiar than we expect is present in The Wake, too. I was so inspired by the talk that I rushed off to buy the last copy and got it signed. I’ll report back when I’ve read it! Finally, I went to a panel lecture on Pevsner’s Cornwall, chaired by Sir Richard Carew-Pole. He introduced the subject, pointing out that Cornwall was the first in the original Buildings of England series, published in 1951, revised 1971, and with a new edition out this year, by Peter Beacham. The panel spoke about the history of Pevsner’s series, with some lovely reminiscences about the man. One of the speakers was Susie Harries, the author of the Pevsner biography (which I’m now keen to read); she told us how what is now seen as a quintessentially English series was begun by a young German academic with an interest in modernist art. 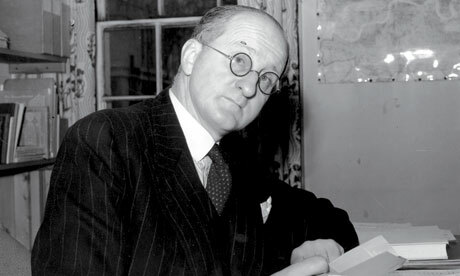 As a young academic, Pevsner was sent to England by his university to learn about English architecture for a course he was teaching. Not long after his return, he lost his job because he was from a Russian-Jewish family, and ended up in England as an ‘art odd-job man’, who eventually ended up writing for the Architectural Review, becoming editor during the war. When Penguin approached him to ask what he thought they should be doing, he suggested what he had wanted on his first visit to England: a county by county guide to architecture. What he ended up producing was not a history or a travel guide, but just about architectural styles, though he struggled sometimes with how much historic detail to include, a struggle which Peter Beacham has also had. Yet ultimately Pevsner was sad to have become essentially a ‘compiler’, doing no original research because of the success of the Buildings of England series. Yet Joe Mordaunt-Crook spoke of the range of Pevsner’s work; apparently he spoke of himself as a general practitioner of architectural history, specialising in nothing but with a remarkable knowledge, which many people have benefitted from. He used to claim that the secret for a contented life was to ‘find out what you’re good at and keep doing it’, which is exactly what he did. Peter Beacham is a keen defender of the original series, but without unnecessary reverence; there were limitations (partly due to petrol rationing) and mistakes, so the new edition offers much more whilst remaining a part of the original (and correcting a mistake about Withiel church which no one had pointed out in 65 years!) The architecture of Cornwall is unique in many ways, especially as a centre for Gothic revival architecture; neglected by the established church for centuries, Henry Philpotts, a Victorian bishop of Exeter tried to inject traditional ecclesiastical architecture into the county, including repairs of many churches in the Tractarian tradition. The biggest challenge for Beacham was to retain a sense of place i n his work; while Pevsner felt he had neither talent nor space for this, Beacham felt that, especially in such an atmospheric county as Cornwall, this was important and has tried to include this. There were a few places where Pevsner ‘let himself go’ and did discuss historical context; Tintagel was one. Finally, Giles Clotworthy, who spent time on the road with Pevsner, gave some amusing and enlightening anecdotes about his time travelling with the man himself, after having been taught by him at the Courtauld Institute of Art. 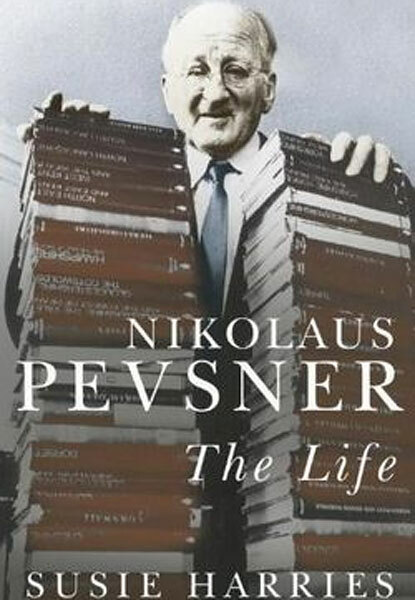 His five weeks as Pevsner’s driver were perhaps the most gruelling of his life, and, having also travelled with Peter Beacham, confirms that the latter enabled him to spend more time in pubs and take things a bit easier! With Pevsner, ‘Private’ signs on land meant little, and when staff with pitchforks emerged to drive the intruders away, Pevsner instructed Giles to put his foot down to get them out of there. Then, they would eat fudge. My notes are so extensive I can only give a flavour of the discussion, but (having grown up with the Buildings of England series all around me, I was filled with enthusiasm for the man who devoted his life to them, and the enduring power both of the architecture and the books about it.